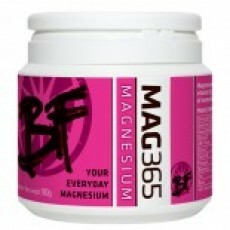 MAG365 BF 180g is formulated to help you absorb the calcium you obtain in your diet and contribute to the maintenance of normal healthy bones. Formulated with D3 (vegan), K2 MK-7 (trans), and ionic Magnesium, Boron, Potassium and Zinc. This powder has no fillers or preservatives. Ingredients: Ionic magnesium citrate (created from a highly absorbable proprietary blend of citric acid and magnesium carbonate,) Potassium Bicarbonate, Ascorbic Acid, Zinc Picolinate, Boric Acid, Vitamin K2-MK7 (Trans), Vitamin B6 (as Pyridoxine HCl), Vitamin D3 (Cholecalciferol). I use to take a multi-vitamin and mineral in tablet form and never felt any effect, this BF formula is genius, its powdered form makes it so easy to put into my drinking water throughout the day. My anxiety has gone, my hormones are well regulated and I generally have more energy. I can feel confident that what I am putting in my body is safe as there is no fillers or chemicals, just 100% goodness!!! Would recommend to anyone! Amazing taste and my anxiety is gone and in general I have my libido back. This was recommended to me by a friend for my insomnia, I have taken it every evening for a week and by the 3rd day my sleep had really improved. After around an hour I have dropped off and slept through until morning. My joints have also improved.